With respect to both structure and personnel, the last few months have been busy – if not tumultuous – for AMD. 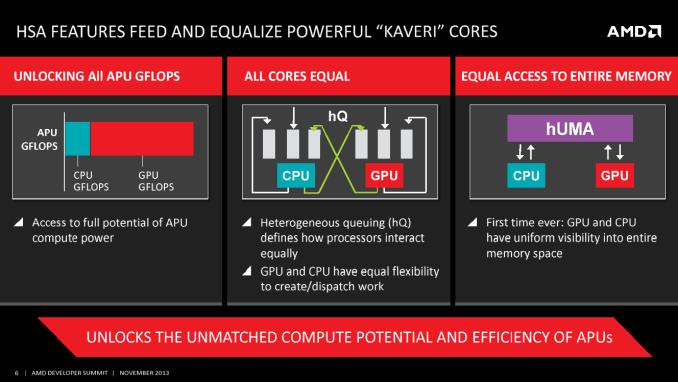 The company recently reorganized itself so that their graphics division and its employees are once again a whole entity under Raja Koduri as the Radeon Technologies Group, as opposed to being dispersed among AMD’s various technical and organizational groups. Meanwhile on the personnel front, last month AMD ace CPU architect Jim Keller stepped away from the company after completing his work on Zen. As it turns out, Jim is not the only recent high-profile departure from AMD; as discovered by HardOCP today and since confirmed by AMD, AMD Corporate Fellow Phil Rogers has left the company as well. As one of AMD’s high-ranking technology & engineering corporate fellows, Rogers’ held an important position at AMD. For the last several years, Rogers has been responsible for helping to develop the software ecosystem behind AMD’s heterogeneous computing products and the Heterogeneous System Architecture. As a result, Rogers has straddled the line as a public figure for AMD; in his position at AMD Rogers was very active on the software development and evangelism side, frequently presenting the latest HSA tech and announcements for AMD at keynotes and conferences. Consequently, though by no means the only person working on the software side of HSA at AMD, Rogers’ role in its development is an important one. 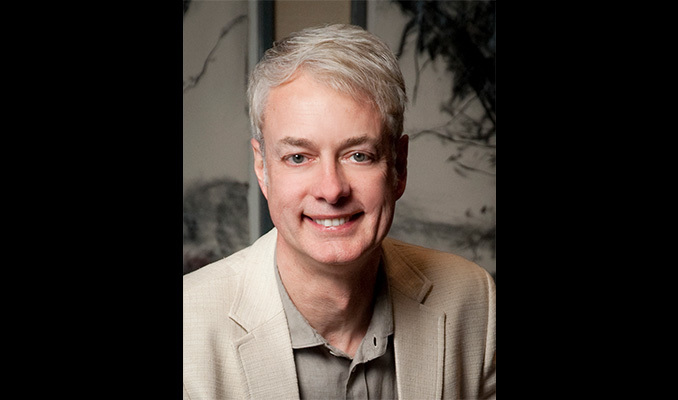 Along with serving as a corporate fellow at AMD, Rogers was also a major contributor to the HSA Foundation, helping to initially found it in 2012 and serving as the Foundation’s president until he left AMD earlier this quarter. So if there is any one person at AMD that could have been classified as the face of HSA at AMD, then Phil Rogers would have been it. Given his position within AMD, both on HSA development and as one of a small number of technology fellows (the highest technical rank within AMD), Rogers’ departure comes as a bit of a surprise. Prior to leaving the company, Rogers’ had been with AMD (and ATI before it) for 21 years, serving as a fellow for the last 8 of those years. AMD for their part isn’t saying much on Rogers’ departure beyond confirming that he left earlier in the quarter, however it should be noted that the company is currently in its “quiet period” before their Q3 earnings release on the 15th, which typically prevents companies from discussing personnel changes such as these. From an HSA development standpoint Rogers’ departure comes at an interesting time. On the one hand HSA is still in its infancy, with the software ecosystem still being built up and AMD just now shipping their first full HSA 1.0 capable APUs with Carrizo. On the other hand the HSA Foundation did finish the HSA 1.0 Final specification earlier this year, and some of the other foundation members have announced that they’ll have HSA-capable designs available in the near future, so the initial work on HSA is done. In which case similar to Jim Keller this may be an AMD employee leaving now that they’ve accomplished their key technical tasks. Meanwhile of equal interest is where Rogers has landed: AMD’s arch-rival NVIDIA. According to his LinkedIn profile Phil Rogers is now NVIDIA’s “Chief Software Architect – Compute Server” a position that sounds very similar to what he was doing over at AMD. NVIDIA is not a member of the HSA Foundation, but they are currently gearing up for the launch of the Pascal GPU family, which has some features that overlap well with Phil Rogers’ expertise. Pascal’s NVLink CPU & GPU interconnect would allow tightly coupled heterogonous computing similar to what AMD has been working on, so for NVIDIA to bring over a heterogeneous compute specialist makes a great deal of sense for the company. And similarly for Rogers, in leaving AMD, NVIDIA is the most logical place for him to go. Wrapping things up, we may yet hear a bit more about Phil Rogers’ departure from AMD on the earnings call on the 15th. Otherwise it looks like it will be AMD’s Gregory Stoner who will be stepping up to the plate to replace Rogers. Stoner is AMD’s current Senior Director of Compute Solutions Technology and long-time Vice President of the HSA Foundation, and with Rogers’ change in employment he is now the managing director of the Foundation as well.